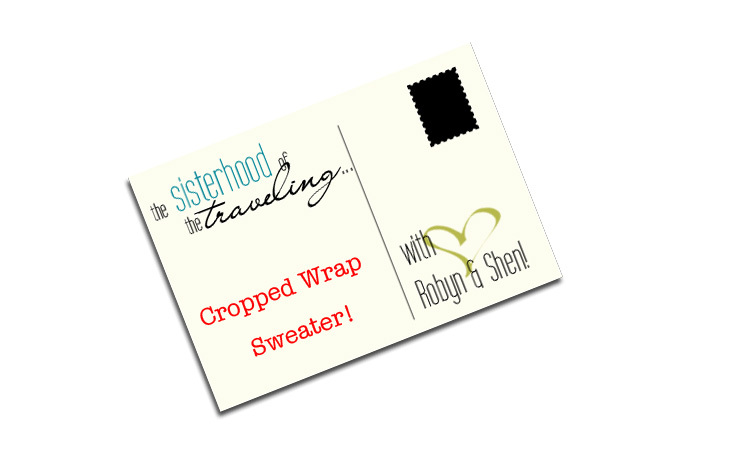 Sisterhood of the Traveling…Cropped Wrap Sweater! This past week has flown by and it’s already time for a new “Sisterhood” post! Today we are featuring a really cool piece thats great for transitioning into Fall. This cropped wrap sweater was made by my ever so talented Aunt! I have so many great knit pieces by her that I can’t wait to rock this coming Fall/Winter. There are so many ways to wear this sweater, that I can’t even begin to explain them all but be sure to check out my Mom’s site, Boluxe, to see another cool way to fashion this piece! Your Aunt is a talented lady! So cute! And love the boots! You styled the sweater completely different then your mom. Cool, it reminds me of a shrug. Very pretty with the skirt.